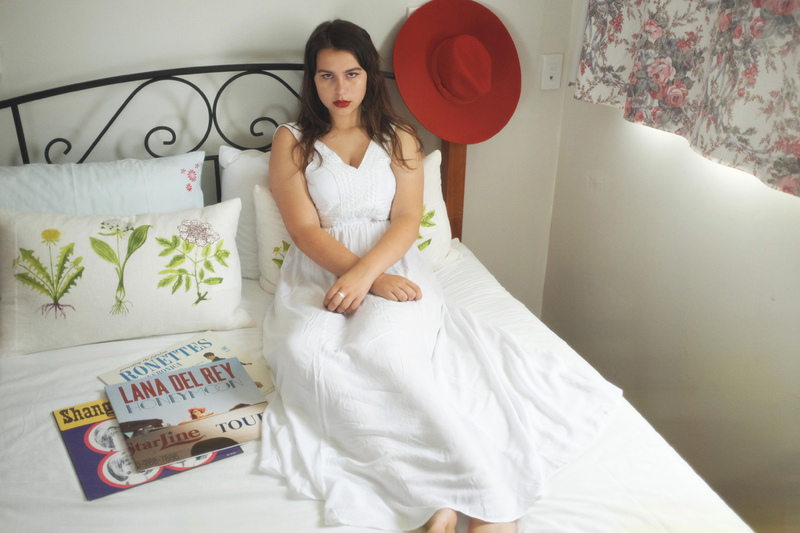 To celebrate the season that is Summer, we decided to honour Lana Del Rey - by utilising some of our current favourite Glassons picks, including flowing white dresses, crisp white shirts, and more. Lola wears: Tie Front Shirt in White, Crochet Shorts in White - all Glassons. Lola wears: Lace Cut-Out Maxi Dress in White - Glassons. Lola wears: Bardot Tie Top in Stripe, Embroidered Mom Short - all Glassons.